On the market is a two-bedroom penthouse at The Beverly on Toh Tuck Road in District 21. The 2,131 sq ft unit is being sold for $2.09 million ($980 psf). It sits on the topmost floor of one of the two 5-storey blocks in the freehold condominium. And it comes with a private roof terrace and pool. The 118-unit The Beverly was developed by Wah Hoe Development, a wholly-owned subsidiary of Singapore-listed Hiap Hoe Ltd, and was completed in 2012. The unit that is for sale belongs to a couple who has lived there since 2013. They purchased the unit from the developer for $1.77 million ($830 psf). The owners have decided to sell because they are looking for a new home, says marketing agent Hillda Yap, associate division director at ERA Realty Network. Units on the fifth floor are all penthouses with roof terraces, and they range from two- to four-bedroom units of 2,099 to 3,757 sq ft. 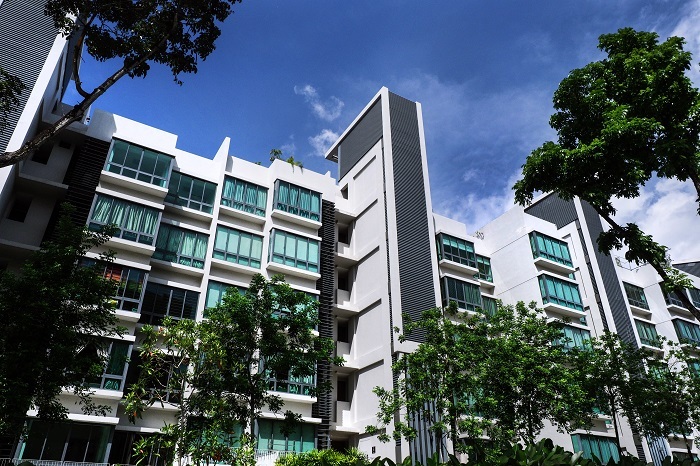 The most recent transaction of a penthouse at the development was that of a 3,660 sq ft, four-bedroom unit that changed hands for $2.85 million ($779 psf) in January, according to a caveat lodged with URA Realis. However, the latest transactions at The Beverly were for two 1,119 sq ft, two-bedroom units that went for $1.5 million ($1,340 psf) each. Both units are in the same block — one on the second floor, the other on the fourth.